13 Going on 30 is good in spite of itself (@ WorldsGreatestCritic.com)! Big meets Freaky Friday meets The Butterfly Effect! The funniest movie of its considerably Silly Pedigree! The year was 1987, I was obsessed with Lisa Bonet, David Lee Roth, Friendship Bracelets and Stephen King Novels. Probably everyone else close to my age was too. Debbie Gibson was a biscuit and the concept of a chick leaving the house without Teased Bangs was as shocking as French Kissing a Light Socket. That year at the age of 13 I likely would have given just about anything to be 29 years old and free of all my troubles. Predictably, now that I actually am 29, I'd probably give anything to be 13 again to do all this over again and, frankly, to be free of all my troubles. That's why this new Teen Comedy 13 Going on 30 actually managed to hit home a little bit. The main difference between Jennifer Garner's wildly attractive turn as a Teenager trapped in the body of a grown hottie and my own plight is, for one thing, I'm quite the dude! For another thing, my near-30 body is more of a double-wide than a Mercedes like Garner! On her Thirteenth Birthday, young Jenna Rink (newcomer Shana Dowdeswell) wishes to be "Thirty and Flirty" and to leave this cruel Teen-hood behind. With the help of a little mischievous "Wishing Powder", courtesy of best buddy Matt (Jack Salvatore Jr. from Donnie Darko), she actually wakes up the next morning looking just like Sydney Bristow from Alias, and more confused than Sidney Vicious. Now, instead of trying to fit in to a popularity-cemented Junior High, she's trying to keep a Fashion magazine afloat as a senior editor. As she adjusts to the fact that this isn't a dream, she looks up Matt, now grown and cool as portrayed by In the Cut's Mark Ruffalo, as well as finding all kinds of things out about the 17 year gap in her head. The 13 year-old innocence that Thirty-ish Jenna now has is causing different decisions to be made, and a much nicer and less Jaded person to emerge! There's no doubt that this has been done before. Essentially this is mostly a Modern Day and Female Version of Big with that Hanks guy. There's also no question that this is yet another Domino Movie that wouldn't have been made without the remake of Freaky Friday. In the 1980's themselves there were a number of these films that owed the original Freaky Friday a debt from Vice Versa to Like Father, Like Son. 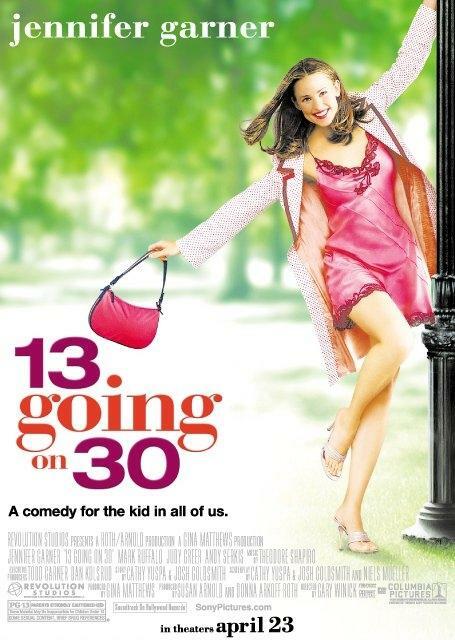 Sure, 13 Going on 30 isn't about to win any original plot awards, so let's set aside the repetitive nature for just a sec. Jennifer Garner is hilarious as the wide-eyed 13/ 30 year old. She pretty well acts 13 the entire time, and doesn't give a range (why should she here), but compared to her other works, this is a completely different role. There are a couple of teary eyed moments that fit, but also seem realistic. Sure she's beautiful here (my glasses melted), but there's no mistaking her dead-on performance. Most of the laughs surround Garner herself bringing the colorful MTV late 1980s to the Jaded and Static year of 2004! Not only does she show up looking like Martha Quinn to a stylish magazine party, but she also leads the crowd in a faithful rendition of the Michael Jackson's Thriller line dance! The temporally displaced decade-dated jokes keep coming, but somehow manage never to overpower the story line or feel cheap. Most of the rest of the cast is called on to look wide-eyed at the change in Jenna Rink, but they all do pretty well at it. Ruffalo in particular is a sympathetic, yet cynical foil (and love interest) for Jenna! And then... there's Andy "My Precious" Serkis! You actually see him this time! There are a few slow moments noticeable in this otherwise quick paced little movie, and at times it feels like it just needs to burn out. Aside from being done before, 13 Going on 30 also demands that we buy in to the explanation-free magic of the premise. You thought that The Lizzie McGuire Movie was a Fairy Tale, well this is full-on Ripley's Believe it or Not! It also gets sort of predictable in a lot of parts, and while there are some surprises, the main ones are how well this premise is handled, not so many in the sub-plot of magazine industrial espionage. If you can get past these occasional Stretch Armstrong moments, I think you can agree that this is a good and fun little film. Four Stars out of Five for 13 Going on 30! I know, I was as surprised as you are, but it's actually really good. It's cute for the kids and fun for the adults (especially those who were actually 13 in 1987... Pat Benetar, I love you). This might be a little racy for younger kids with the dialogue and occasional SSSSSSSEEEEEEEEEEEEEEEXXXXXXXXXXXXX reference, but if you have a teen at home, this is a good one for you to enjoy and giggle with together! Click here for more of my THRILLER reviews! and his Poison, Kiss, Motley Crue, Twisted Sister, Steelheart and Lita Ford Posters! 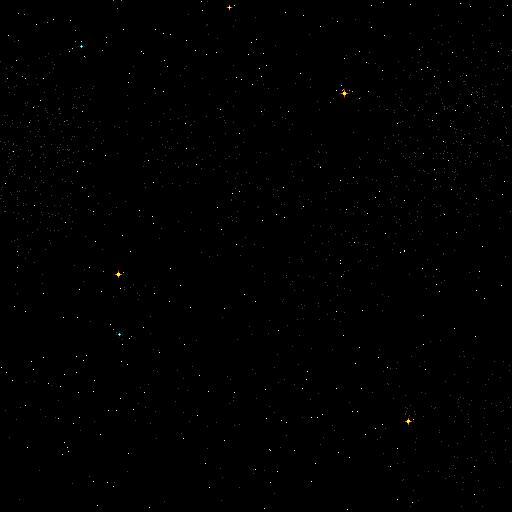 Does this look Yellow to you?